The power of Walangkura Napanangka?s painting is accentuated by the use of a limited bold palette and a complex structure. 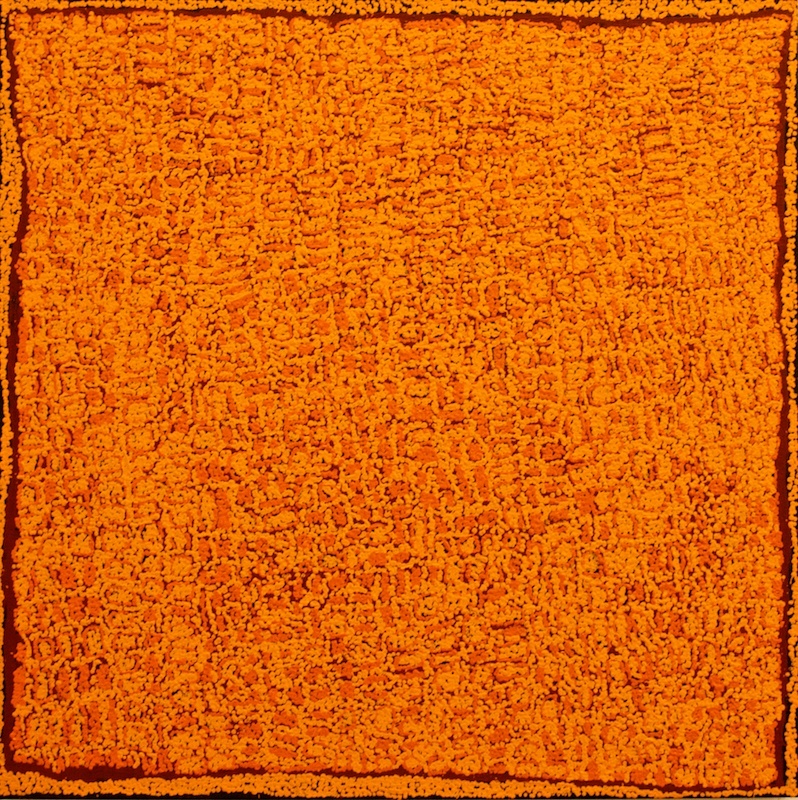 Walangkura began painting for the company in early 1996 and has appeared in all the major women?s shows ever since, as well as two solo exhibitions. Her work can be found in public and private collections, including the Art Gallery of New South Wale and the National Gallery of Victoria. Along with her husband Johnny Yungut Tjupurrula she shares her time between Kintore and Kiwirrkura. 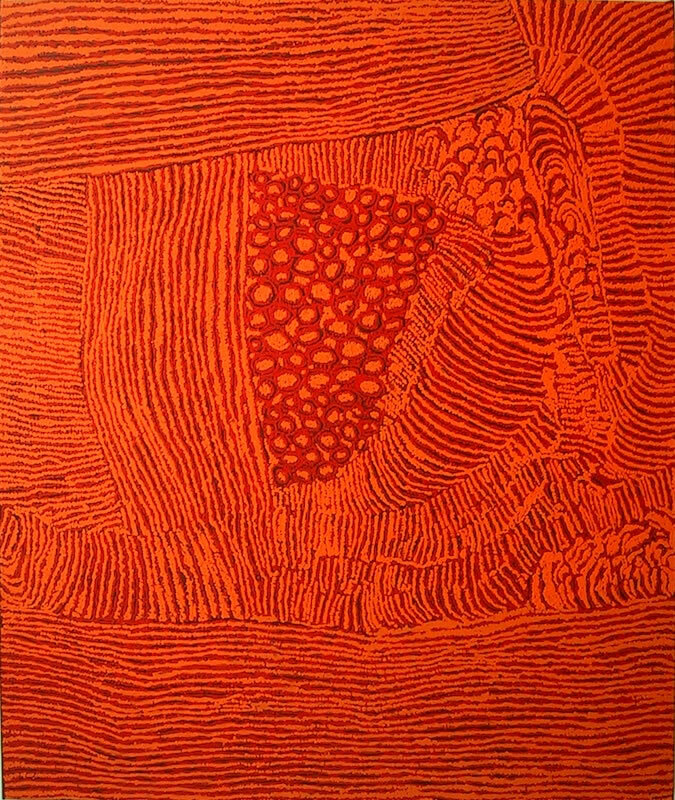 Walangkura was born at the site of Tjiturrulnga, west of Kintore c.1946. Her family moved to Haasts Bluff when she was in her early teens. 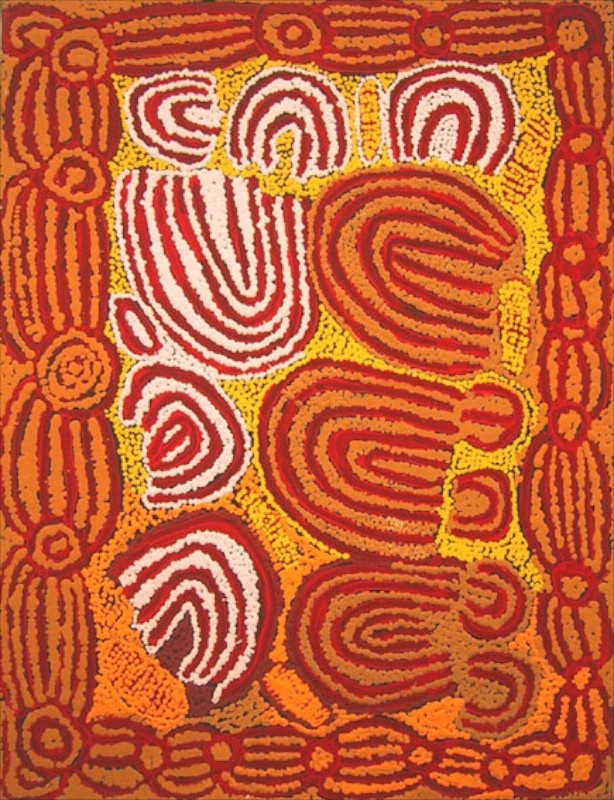 She is the daughter of Inyuwa Nampitjinpa and the sister of Pirrmangka Napanangka who are both Papunya Tula artists.